After summer vernissage ala Garden Party, which was held at unique villa Stanislav Libenský, we already preparing the third edition of RICHARD WATZKE Magazine. FREE Magazine ORDER FORM HERE. This time we were focused not only on the overall concept of the villa, its processing and design, but also at the opinions of experts who we invited to the place. Thanks to their point of view, we try to understand more about the architectural design, interior disposition and material structure. As if under a microscope, we inspected the location, land and building as such. You have the unique opportunity to get acquainted with different points view of renowned personalities about this exceptionally designed architectural whole. The next issue of the Magazine is divided into two parts. Part devoted to the realities and section, dedicated to art. There was exhibited work of Stanislav Libenský and certain works of his students at the vernissage. Do you love art? You have such a wonderful opportunity not only to admire the beautiful photos, but also, for example, the curatorial interpretation which comment the whole exhibition.  We are preparing Richard Watzke Magazine no. 3 for release in Czech and English now. Do you love architecture & art? Are you interested in beautiful things? Just fill the form with your email and will send the first publication completely for FREE.